Sanborn fire insurance maps were created by the Sanborn Map Company to assist insurance companies in assessing risk. These colorful maps give us a glimpse into towns of all sizes. We can see where the buildings were located, what they were made of, and, for commercial properties, what type of business occupied the space. The Library of Congress has digitized some of its collection of Sanborn maps and are available for free on their website. Be sure to refer to the key that explains what the colors mean. 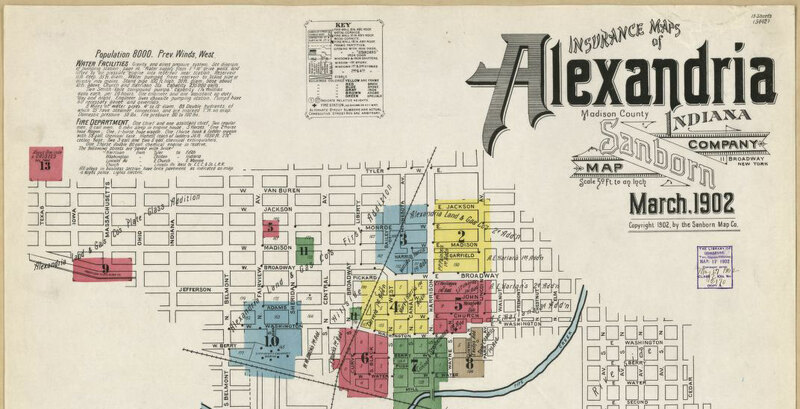 Portion of the Alexandria, Indiana Sanborn map, 1902. New Databases: Cass, Clark, Hendricks, Huntington, and Monroe Counties - and more! Browsable digital images of listings from a 1930 business directory for the town of Huntington. This database was contributed by Wayne Klusman. 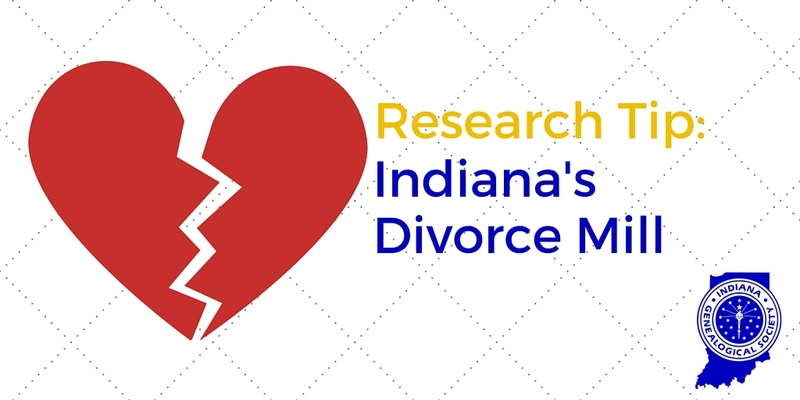 These databases are available to members of the Indiana Genealogical Society. Not a member? Join today and get access to these and more than 1,700 other databases! An index of 280 students who attended Franklin College, as listed in the school's 1934 bulletin. The index includes their hometown and their class. Browsable digital images of students in grades 7 through 12, as listed in Logansport High School's 1936 yearbook, The Tattler. Only the students in grade 12 are identified by their names. This database was contributed by Ron Darrah. Browsable digital images of teachers in grades 7 through 12, as listed in Logansport High School's 1936 yearbook, The Tattler. The teachers are only identified by their last names. This database was contributed by Ron Darrah. Browsable digital images of members of the IOOF Lodge #3 in Jeffersonville, as listed in a 75th anniversary book. This database was contributed by Ron Darrah. Browsable digital images of students in grades 1 through 12, as listed in Plainfield High School's 1931 yearbook, The Van Buren Elm. Only the students in grade 12 are identified by their names. This database was contributed by Ron Darrah. Browsable digital images of teachers in grades 1 through 12, as listed in Plainfield High School's 1931 yearbook, The Van Buren Elm. This database was contributed by Ron Darrah. An index of 4,300+ entries from the funeral home's ledgers. The index includes the date of the entry and the page number of the ledger. This database was contributed by Randi Richardson. I am looking for a Wabash County birth and death certificate for Gilbert Weesner, born to Lester Gilbert Weesner and Nellie Catherine Bishop Weesner. These may have been in Milwaukee, if not Wabash County. Gilbert Weesner was my grandfather. Also looking for cause of death, death certificate, burial place for Nellie Catherine Bishop Weesner, born 8/12/1878 and died 12/18/1907. Thought to have died in Chicago. Burial place listed as Laketon Cemetery in Ijmsville, Indiana (near Laketon, IN). I went to Ijmsville to look in this cemetary and could not find the grave. Thank you. I was told that my Grandmother graduated from the University of Indiana in the first graduating class. Her name was Araminta Sims. Later she married John Thompson. I believe that she was either a singer or a pianist in the School of Music. Looking for any evidence (negative or positive) that identifies the Joshua Brooks, school teacher, who died 30 Aug 1830, in Richmond, Indiana. : “Mr. Greene, Post Master of this city, has lately received a letter from the P.M. of Richmond, Indiana, stating that a Mr. Joshua Brooks died there August 30; that he had taught school there: that he left 5 or 6 children in or near Boston, their mother having died several years since.” Trumpet and Universalist Magazine (Boston, MA), 20 Nov 1830, Vol III, Issue 21, Page 83. Joshua Brooks married in 1806 in Kingston, MA, said to be of Albany, NY. Wife Lydia Beal petitioned for divorce in April 1826 stating that he had abandoned the family a few years earlier and had committed adultery. Repeated notices printed for him to appear. He never appeared and divorce granted Oct 1829. Need evidence the Joshua Brooks who died in Indiana was the same born Albany, NY, and married and lived in Massachusetts. Browsable digital images of listings from a 1930 business directory for the town of Elwood. This database was contributed by Wayne Klusman. These databases are available to members of the Indiana Genealogical Society. Not a member? Join today and get access to these and 1,700 more collections! 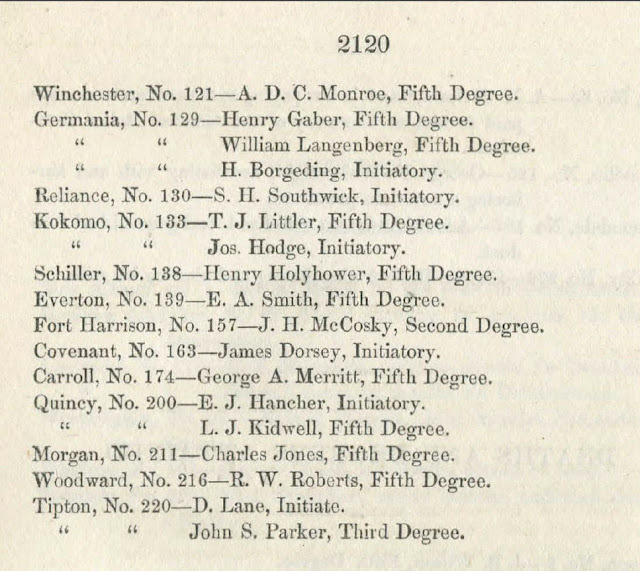 An index of 88 students who died while attending the school, as listed in the institution's annual reports for 1869 through 1914. The index includes their date of death, age, cause of death and the county they were from. An index of 16 coal miners who were injured while working in Indiana, as listed in the state mine inspector's annual report for 1890. The index includes the date they were injured, a description of their injuries, the name of the coal mine and its county. Browsable digital images of listings of members who died, as listed in semi-annual reports of the Independent Order of Odd Fellows. This database was contributed by Ron Darrah. An index of 17 prisoners sentenced to the Indiana State Prison North, as listed in the institution's annual report for 1861. The index includes their age, the county they were convicted from, the crime they were convicted of, the date they were sentenced, and the length of their sentence. In 1861, this prison only housed convicts from the northern half of the state. Browsable digital images of the history of the county and its individual townships, as listed in a centennial booklet. This database was contributed by Ron Darrah. Browsable digital images of student in grades 9 through 12, as listed in Middletown High School's 1914 yearbook, "Senior Annual." Only the students in grade 12 have photos. This database was contributed by Ron Darrah. Browsable digital images of teachers in grades 9 through 12, as listed in Middletown High School's 1914 yearbook, "Senior Annual." This database was contributed by Ron Darrah. Browsable digital images of students in grades 9 through 12, as listed in Sullivan High School's 1941 yearbook, "Purple and Gold 1941." Only the students in grade 12 are identified by name. This database was contributed by Ron Darrah. Browsable digital images of teachers in grades 9 through 12, as listed in Sullivan High School's 1941 yearbook, "Purple and Gold 1941." This database was contributed by Ron Darrah. 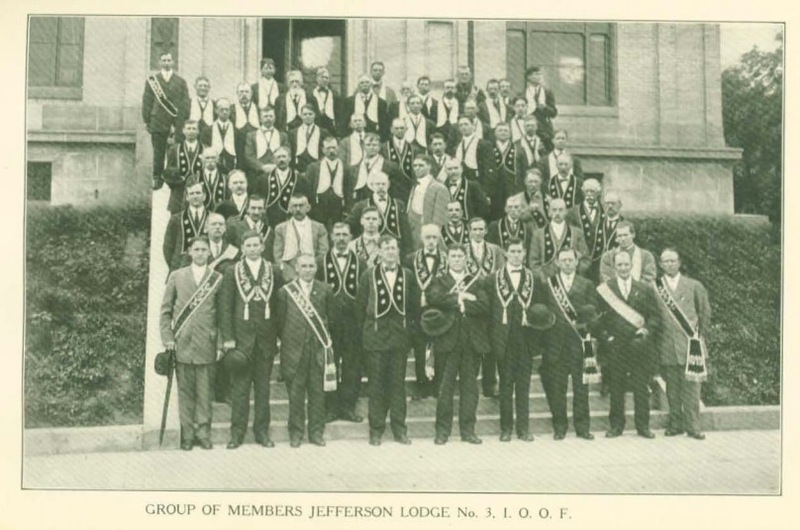 A listing of deaths of Indiana Odd Fellows members in the 1860's. Ancestor, Maria Albin (wife of John B. Albin) resided in Jackson County at least from 1860 to her death January 10, 1895. She is buried with her husband in St. Ambrose Cemetery, Seymour. She and her husband immigrated in 1850 (origin given as Switzerland), first to Ohio and then Indiana. I am seeking additional information (death notice/certificate etc.) that might indicate where in Switzerland they were from and her maiden name. A maiden name is listed as "Dickretines" on a daughter's death certificate. I am feel that this may well have been a misspelling, possibly of Decurtins. Any assistance very much appreciated. Thank you. I am trying to find a school picture of my great-grandfather Russell Orlando Casper. It stated he was not attending school at that time. However the records may be incorrect. Even if you find a grade school picture that would be fine. I have no idea what grade school he attended. He was married 12/12/1923 in St. Joseph, Michigan, to Pauline Starr. Record #1738 Film 167. He passed in 1924. Great Grandfather (His Dad) was a farmer at the time. I would greatly appreciate your help in this journey. I'm trying to find the graves of my great, great grandparents and am hoping the genealogical society can help me as I'm relatively new to this and am not to sure about the best way to proceed. I'm looking for Sanford Hamilton Barton and Matilda Isabelle Barton. Sanford was born in about 1854 in Georgia, to John Wesley Barton and Martha Ann (Goss) Barton. John Wesley apparently died at the battle of Gettysburg in July, 1863. Sanford married Matilda Zentmyer in Nov, 1873. One of their sons, William Guy Barton, was my Dad's grandfather. In my searching I've found that Sanford may have used his middle name as a first name, and he apparently died in 1884. Matilda re-married twice afterwards, to James Minnick, and Jacob Stewart. She died Feb 23, 1934 in Lafayette.